The Consulate General of India started operating in St. Petersburg on 15th February 1993. The consular jurisdiction covers nine states of North-West Federal Region of Russia (NWFRR) namely: (i) Arkhangelsk Region, (ii) Leningrad Region, (iii) Murmansk Region, (iv) Novgorod Region, (v) Pskov Region (vi) Republics of Karelia, (vii) Republic of Komi, (viii) St. Petersburg Region, & (ix) Vologda. NWFRR is one of the most economically-developed of the Russian Federation’s eight federal regions and accounts for 10% of Russia’s GDP (11% of industrial output, 6% of agricultural production). The St. Petersburg region accounts for 43% of the NWFRR’s GDP. The population of NWFRR is 13.6mn. The average salary in NWFRR is Roubles 40,000 (nationwide, Roubles 37,600). The NWFRR is rich in natural resources, including non-ferrous metals and apatite (Murmansk region); iron (Karelia); oil and gas (Murmansk and Arkhangelsk regions, and the Republic of Komi). Vologda, Pskov, Arkhangelsk and the Republic of Karelia also have extensive forest resources. Industrial production plays a leading role in the economy of NWFRR, comprising more than 1/3 of its GDP. The most important branches of industry in the NWFRR are: machine-building, ship-building, metallurgy, the chemical industry, and wood-processing. Other important branches of the NWFRR’s economy are wholesale and retail trade. Foreign trade turnover in the NWFRR from Jan– Sept 2017 increased by 37%, totaling to US$ 32 bn in which exports were US$ 15.4 bn, while imports were totaled at US$ 16.6 bn. Arkhangelsk region is the northern-most region of Russia and has an area of 587,400 km² with a population of 1.22mn. The city of Arkhangelsk, with a population of 348,716 is the capital city of the region. The second largest city is the nearby Severodvinsk, home to Sevmash, the main shipyard for the Russian Navy. Among the oldest cities of the region are Kholmogory, Kargopol, and Solvychegodsk and the UNESCO World Heritage Site of the Solovetsky Islands in the White Sea. Arkhangelsk region is one of the industrial regions of Russia. The region has a developed fishery, forestry, woodworking, cellulose, and paper industry. There are large reserves of natural resources: Lumber, oil, bauxite, titanium, gold, manganese, and basalt. The paper production and related industries contributes 55% of all industrial production of the area. The area of current Arkhangelsk region has always been located on the trading routes connecting central Russia to the White Sea, and, in fact, in 17th century the White Sea was the main sea export route for Russia till St. Petersburg became major port of Russia. Every year in September, Margaritinskya Festival is being organized in the city to continue the tradition of such fairs since 16-17th century. The Leningrad Region is one of the most dynamically developing regions of Russia. The region has an area of 219,000 km2 and a population of 1.7mn. St. Petersburg is the capital of the region. 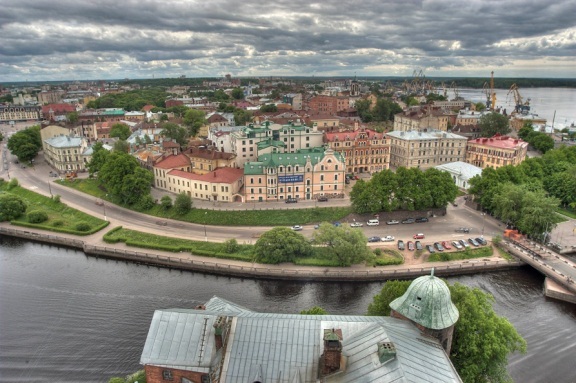 The important towns of the region are Gatchina and Vyborg. The Leningrad Region has an advanced economy, plentiful natural resources, rich culture. The main industrial sectors of the Leningrad Region are fuel, oil refining, forestry, lumber, pulp and paper, chemical production, engineering and ship-building. Murmansk region is located mainly on the ‘Kola Peninsula’, and it is a part of the larger ‘Lapland region’ that spans over four countries. It lies almost completely north of the Arctic Circle. The region is mostly covered by tundra in the north and taiga in the south covering total area of 144,900 km2 with a population of 795,409. Murmansk is the capital city of the region. It is very rich in natural resources and has deposits of hundreds of minerals. It is said that all the materials in Mendeleev’s periodic table could be found here. The main industries of the region are in the sphere of raw material extraction and basic processing. The largest industries are metallurgy, electric power-production and food-industry. The ice-free port of Murmansk plays an important role in marine transportation in Russia, and the region has a major share of the total Russian marine transport market. The fishing industry is among the most prominent in the region. The economy of the region is export-oriented. Main export items are nickel products, apatite concentrate, copper and copper products, aluminum and ferrous metals. Large oil and gas resources have been discovered on the shelf of the Barents sea, including the massive Shtokman field - one of the world's largest gas fields with estimated reserves of 3.8 trillion cubic meters. The website of the region is “http://english.gov-murman.ru/”. capital of the region. The historic monuments of Veliky Novgorod and surroundings have been declared a UNESCO World Heritage Site. Novgorod was one of the oldest centers of Russian civilization. Novgorod is indicated in the chronicles as the site where Rurik settled and founded the Rurik Dynasty in 862. Subsequently Rurik's successor, Oleg, moved the capital to Kiev, but Novgorod continued to play an important role until the 15th century. The Saint Sophia Cathedral in Novgorod is the oldest Christian church in Russia with the exception of the Caucasus area. Novgorod region is noted for its science- and labor-intensive sectors, particularly the chemical and forest industries. The engineering and metalworking, electronics, chemical, forest, woodworking, and pulp and paper industries produce nearly half of the oblast's marketable commodities. The chemical industry is the leading economic sector of the region and products include fertilizers, general rubber goods, synthetic resins, plastics, paints, pharmaceuticals, and household chemicals. The website of the region is “http://region.adm.nov.ru/”. over 50% of the industrial output of the region. 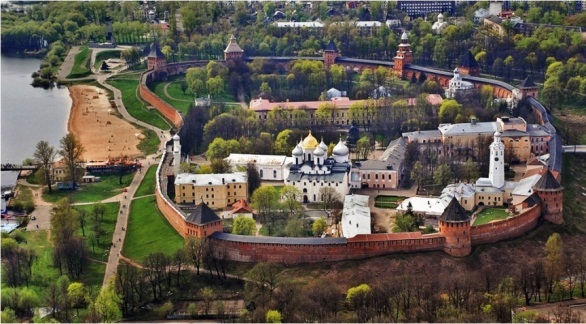 Pskov has one of the best surviving Kremlins (fortress). 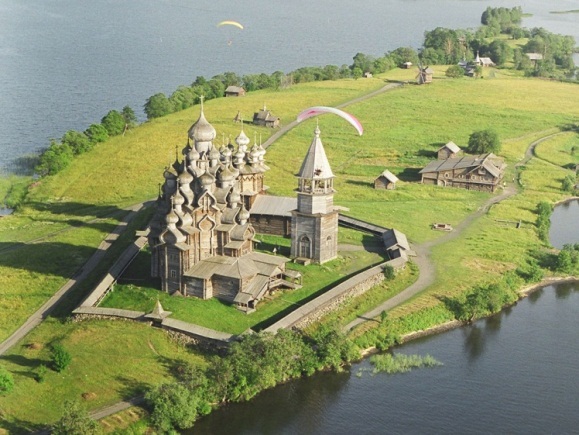 The website of the region is “http://www.pskov.ru/”. Petrozavodsk is a capital of the region. The population of Karelia is 684,200 spread over an area of 180,500 km2. Two major cities are Petrozavodsk and Kostomuksha. Head of the Republic of Karelia is the chief executive officer of the Republic of Karelia. 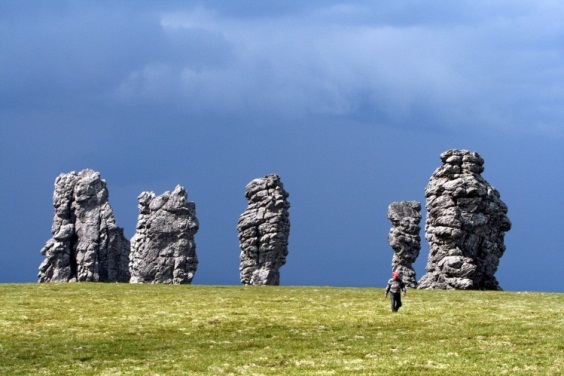 Karelia is often figuratively called a severe land of lakes and woods, emphasizing the leading elements of its landscape, unique combinations created by spaces of fantastic contours of a number of lakes and divided by rocky-subdued interfluves covered with taiga greens. Karelian woods, rivers and lakes have a very special role in preservation of biodiversity of the Northern Europe. More than 49% of the area of the republic is covered with forest. There are more than 61 thousand lakes and 27 thousand rivers in Karelia. The largest lakes are the Ladoga lake (area 17,700 km2) and the Onega lake (area 9,900 km2). More than 50 types of minerals, located in more than 400 deposits and ore occurrences [iron ore, titan, vanadium, molybdenum, precious metals, diamonds, mica, construction materials (granites, diabases, marbles), ceramic raw material (pegmatite, spars), appatit-carbonate ores, alkaline amphibole asbestos] were discovered in Karelia. Economy of the region is based on processing of natural resources (timber and minerals) and tourism sector. Traditional crafts for Karelia were birch-bark and straw weaving, pearl beading and embroidery, spinning, weaving, wood- and bone-carving, pottery. Karelia was also famous for skilful jewellers, smiths (even gun-making), carpenters and boatmen, pearl craft had been developed, too. 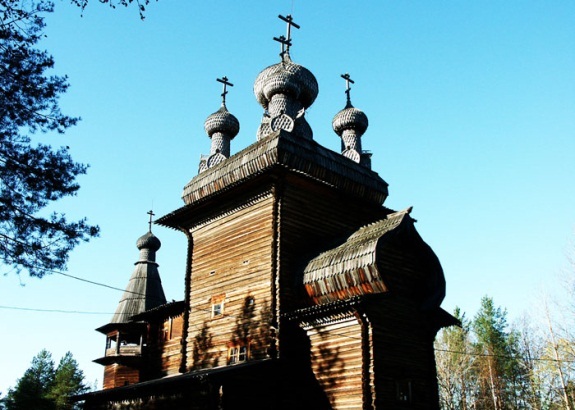 The State Historical-Arhitectural and Ethnographical Museum-Reserve Kizi; Valaam archipelago consisting of 50 small islands in the northern part of Ladoga lake where the Transfiguration of the Saviour Valaam monastery is located are famous tourist attractions here. The Mayuri Indian Dance group from Petrozavodsk is very famous in Republic of Kareila and has become one of the integral parts of cultural life of the Republic. The group celebrated its 25th anniversary in Oct 2012 and mastered in Bollywood dances. They have performed twice in India and once in USA (July 2012) with hundreds of performances in all over Russia. The website of the region is “http://www.gov.karelia.ru/index_e.html”. The Capital of the Republic is ‘Syktyvkar’. The population of the Republic is 889,837 spread over an area of 416,800 km2. The main types of minerals available in the Republic of Komi are oil, coal, natural gas, bauxite, titanium, manganese and gold etc. All most all minerals and ores are available in the region. Thus industry is comprised of oil, including gas condensate; coal, natural gas; petroleum products (motor gasoline, diesel fuel, heating oil); lumber, hardbound plywood, paper etc. The largest volume of oil contained in the fields of oil and gas Kolvinskoye-Pechora region (about 40%). The share of Vuktylsky gas field is 84.1% of the total volume of gas produced in the country. The Komi Republic is one of the leading forest regions of Russia. The total area of ​​forest is 38.9mn hectares i.e. 3.5% of the total area of ​​forests in Russia. There are 20 museums in Komi that includes ‘National Gallery of the Republic of Komi’ & ‘National Museum of the Republic of Komi’. The website of the region is “http://www.rkomi.ru/index.php”. St. Petersburg is situated in the North-West of Russia in the Neva River delta on the eastern coast of the Gulf of Finland. The city was founded on 27 May 1703 by Peter the Great. In 1712, Peter the Great moved the capital of Russia from ‘Moscow’ to ‘St. Petersburg’ and established it as the main industrial and political centre of the country. Lenin moved the capital back to ‘Moscow’ in 1918 following the Communist revolution of 1917. The city was named as ‘Leningrad’ in 1924 in honour of Lenin who died that year. It was renamed as ‘St. Petersburg’ in 1991.
the business, political, academic, scientific, literary and cultural life of Russia. The most important chapter in the revolutionary movement of Russia – the proletarian phase is closely related to the history of St. Petersburg. The city came under siege for 872 days by the Nazi forces on June 22, 1941 marking the beginning of the great patriotic war (1941-45). St. Petersburg is the administrative centre of the Northwest Federal Region. 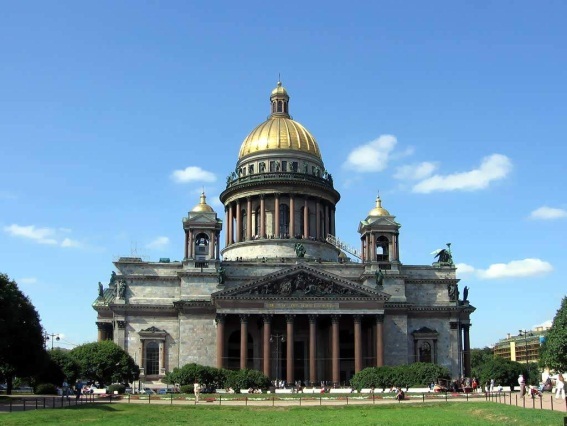 St. Petersburg has now gained informally the status of the ‘second capital’ of Russia since the constitutional court of the Russian Federation moved to the city in 2008. The Naval Headquarters has moved in October 2012 to St. Petersburg. Among European cities Saint‑Petersburg occupies the third position in terms of the population (4.8 million people) and comes right after Moscow and London. The total area of Saint-Petersburg is 1,439 km². The population density comes to 3.3 thousand people/km². In 2010 the volume of foreign investments to the city was US$ 5.2bn. The leading investing countries were Belarus, Switzerland, Germany, Cyprus, Great Britain, Finland, Kazakhstan, China, Sweden, the USA, The Republic of Korea, and Belgium. St. Petersburg dominates the N-W Federal District’s economy, producing 43% of the district's GDP. The city also has the highest concentration of small and medium businesses in all of Russia. Saint-Petersburg is one of the most important transport centers and is located on the intersection of the transport routes connecting Scandinavia and Europe as well as central regions of Russia and the countries of the Baltics. One of the largest ports of the Russian Federation, the seaport of Saint‑Petersburg, processes 65% of the entire exports of the country. The website of the region is “http://eng.gov.spb.ru/”. Vologda is the capital city of the region. The city serves as a major transport hub of the Northwest of Russia. The population of the region is 1.2mn and spread over an area of 145,700 km2. It is a historical city and is one of the best preserved big cities of Russia combining traditional wooden architecture and stone monuments. It has a kremlin. The largest cities are Cherepovets & Vologda. Other major cities are : Sokol, and Veliky Ustyug. The region is rich in historic monuments, such as the Kirillo-Belozersky Monastery, Ferapontov Monastery (a World Heritage Site) with the frescoes of Dionisius, medieval towns of Velikiy Ustyug and Belozersk, and baroque churches of Totma and Ustyuzhna. The biggest industrial enterprise of the region is the Severstal steel plant located in the city of Cherepovets, which is responsible for approximately 50% of the total industrial production of the region. M/s Amophos, a fertilser plant is also located at Cherepovets. In 1871, the Danish merchant Friedrich Buman opened a specialized butter factory in the manor of Fominskoye (13 km northwest of Vologda). Since then Vologda became the center of the butter industry, and the Vologda butter, a special type of butter with the taste of nuts became a world trademark. The Veliky Ustyug is favourate tourist attraction in the winter. Vologda is also famous for its lace-making. The website of the region is “http://vologda-oblast.ru/ru/”. Given the traditional and long lasting political, economic & commercial and cultural ties with Russia, St. Petersburg has always been on the agenda of the high level dignitaries visiting from India. The prominent visits to St. Petersburg by Indian dignitaries which have taken place in the past are as follows: Prime Minister Mr. Atal Bihari Vajpayee (Nov 2001 & May 2003), President Dr. A. P. J. Abdul Kalam (May 2005), Prime Minister Dr. Manmohan Singh (July 2006) and President Pratibha Devisingh Patil (Sept 2009). St. Petersburg International Economic Forum takes place in St. Petersburg annually. India was represented by the Hon’ble Minister of Commerce & Industry, Mr. Anand Sharma in the XVI International Economic Forum from June 20-22, 2012. Hon’ble Minister of Law & Justice Mr. Veerapa Moily visited St. Petersburg in May 2011 to participate in 1st St. Petersburg International Legal Forum. Hon’ble Minister Shushil kumar Shinde participated in Shanghai Cooperation Organization (SCO) meeting at St. Petersburg in Nov 2011. The Hon’ble Minister of Steel Mr. Beni Prasad Verma visited St. Petersburg in Nov 2011. Mr. Montek Singh Ahaluwalia, Dy. Chairman of Planning Commission attended the 3rd G-20 Sherpa meeting at St. Petersburg on 11-12 May 2013. St. Petersburg occupies an important place in our bilateral trade and plays a vital role in supplies of Indian exports to NWFRR. In 2011 trade between St. Petersburg and India was US $753.70mn. Exports to India from St. Petersburg were US$ 415.4mn. Imports from India to St. Petersburg in 2011 stood at US$ 338.30mn. According to the figures published by the city authorities in 2011 the cumulative Indian investment in St. Petersburg stood at US$ 81.67mn. This year,2017, in the 70th anniversary of establishment of diplomatic relations, India participated as Guest Country in the St. Petersburg International Economic Forum-2017. The Prime Minister of India Shri Narendra Modi was the Guest of Honour. During this time the 18th Annual Bilateral Summit was also held, which saw the adoption of the historic St. Petersburg Declaration: Vision for the 21st Century, and signing of 12 Agreements in economic and political areas. Both countries are celebrating the 70th anniversary by organizing events across the length and breadth of the countries reflecting the deep and multifaceted relationship. In addition to the Annual Summit, 2017 has seen visits to Russia by the senior most leadership of India, such as External Affairs Minister, Defence Minister, Finance Minister and National Security Adviser. From the Russian side, two Deputy Prime Ministers have visited India, and more high level visits are planned till December 2017. India has participated in all major economic forums in Russia including SPIEF, Eastern Economic Forum, Innoprom, Technoprom, IT Forum, Arctic Forum and others. St. Petersburg and Mumbai share Sister-city relationship since 1967. A cooperation agreement for the same was signed in December 2004 during the visit of the President Mr. Putin to India. The Bruhan-Mumbai Metropolitan Corporation (BMC) is in cooperation with M/s Vodokanal of St. Petersburg for drinking water supply and waste-water management schemes. The team of Experts of Vodokanal visited Mumbai on 18-22 March 2013 and met officials of Mumbai looking after Drinking & waste-water supply and also had site visits. Mr. Prokherenko, Chairman External Relations Committee, St. Petersburg attended BRICS sisters city conference at Mumbai in Jan 2013. The Chair of Indian studies was established at the St. Petersburg University in November 2001 during PM A.B. Vajpayee's visit to give a fillip to modern Indian studies, where at present 30 Russian students are studying Hindi in undergraduate courses. Prof. Svetlana Tsvetkova is presiding Indian Chair for the Indian studies at the University. The Govt. of India has given a grant of US$ 10,000/- to the State St. Petersburg University in March 2013 for carrying out a publication on new Indian literature in various Indian languages. Hindi is also taught in the school no. 653 at St. Petersburg and 450 students learn Hindi there. The School No. 653 of St. Petersburg (established in 1957) signed a cooperation agreement with the City International School, Mumbai on 12 April 2013. India has close relations with the State Hermitage Museum. During the VVIP visit in 2003, US$75,000/- was donated to the Hermitage for an exhibition displaying Indian objects. There are 10 local clubs teaching Indian dances by local exponents. Several Indian Council for Cultural Relations (ICCR) sponsored Indian cultural troupes visit St. Petersburg. The “Roerich Family Museum and Institute” every year organizes an International Sitar Festival at St. Petersburg. The 5th International Sitar Festival was held on 27 Oct 2012. The “Festival of India” in Russia was organized from 16–22 April, 2012 at St. Petersburg on the on the occasion of 65th anniversary of establishment of diplomatic relations between India & Russia (13th April). The screening of 15 modern Indian movies was organized along with Qawwali performances of Nizami brothers from Delhi. The International Federation of Indian Dances (IFID) organized 3rd International Indian Dance Competition at St Petersburg on 29 Nov-1 Dec 2012. The 35 dance groups participated in the competition from various cities in following countries: Russia, Ukraine, Sweden, Belarus. The event is being organized once in two years. The Institute of Oriental Manuscripts of the Russian Academy of Science, Museum of Anthropology and Ethnography (Kunstkamera) of the Russian Academy of Sciences and St. Petersburg State University every year organizes an Indology Conference “Zograph Readings” during the month of May. The Consulate with support of 'the Embassy of India, Moscow' and 'Directorate of Film Festivals, I & B Ministry’ and the Government of Arkhangelsk Region, Russia organized “Open India” Festival (painting/essay competition “India in my Views”, performances of Indian classical dance troupe from Moscow and screening five modern Indian movies) in Arkhangelsk in the framework of celebrations of “75th Anniversary of Arkhangelsk Region” and “Margaritinskaya Fair” (historic festival which has its roots leading to 16th – 17th century) at Arkhangelsk from 20-23 Sept 2013. The Consulate organized a painting and essay competition “India Mayami Glazami” (India in my eyes) for children in the age-group of 11-13 years and 14-17 years in all nine states of the NWFRR from 20 Sept 2012 (Arkhangelsk) to 27 Feb 2013 (Novgorod) with the support of local Governments. The Consulate received an excellent response for the competition by all the local Governments/schools/children of NWFRR. Four grand prizes in form of ‘Trip to India’ are announced with the results on 6th May 2013. In the Centenary Year of Indian Cinema, the Consulate organised an Indian Film Festival in the Republic of Komi, Russia from 16-22 April 2013. The Directorate of Film Festival (DFF), Delhi supported the event. Six modern Indian movies dubbed in Russian were screened in all major cities of the Komi. The Roerich Museum Center in Komi organized exhibition of painting of famous Russian Artist N. Roerich on India. The people of Komi Republic gave excellent response to the Indian Film Festival. September, 2017 in Saint Petersburg Grand opening of the Days of India on the Icebreaker "Krasin"
Around 870 Indian students are studying (mainly medicine) at St. Petersburg and Arkhangelsk in the NWFRR. Tourism to India has increased during the last couple of years. The number of visas issued in 2017 was increased by 4.17% compared to the 2016 year. And 18.44% increased as compared to January 2017 to January 2018. It may be mentioned that the fortnightly charter flight from St. Petersburg to Goa had become weekly this year apart from the continuation of Emirates daily flights in the sector St Petersburg-Dubai-Delhi (started in Nov 2011) and freaquent flights from Moscow - New-Delhi (2017). The website of the NWFRR is “http://szfo.gov.ru/”.